Named after Runner's World editor Bart Yasso, this workout, the Yasso 800, has gained quite a bit of popularity over the last few years. 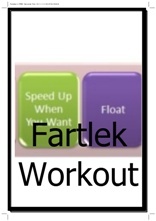 It is a marathon pace workout with a twist. On this page I am exploring the merits of this special workout. So, how do you do this marathon pace workout? Are Yasso 800s helpful in predicting your marathon pace? Is there value in the Yasso 800 as a marathon pace indicator? Using the Yasso 800 as a half marathon pace guide. Are Yasso 800s a good workout? During your marathon training you build up your 800 metre-repeats every week (from about four to ten or twelve). Your goal is to run these 800 metre-repeats at a constant pace. 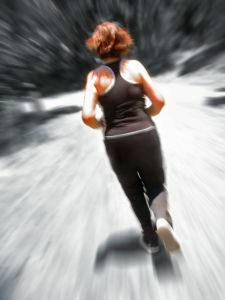 The time you spend running these 800 metres in minutes, is a prediction of how fast you can run your marathon in hours. I told you it was a marathon pace workout with a twist! It is not run on marathon pace, but it is supposed to give you a prediction of it. So, say you do your Yasso 800s at 3:30 min / 800 metres. 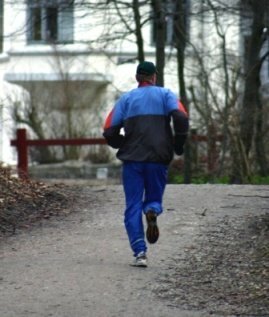 In between you recovery jog for the same amount of time (so 3:30 min). Then your predicted marathon time is 3:30 hours. Doing your 800 metre-repeats at 2:50 min / 800 metres (recovery jog for 2:50 min)? Then your predicted marathon time is 2 hours and 50 minutes. And yes, it often is. It is still a good workout though, so I will explain to you how you can use it. So, are Yasso 800s helpful? 800 metres compared to 26.2 miles. 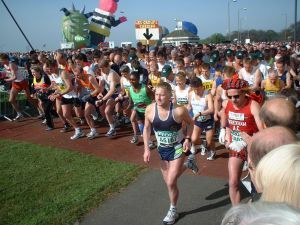 A marathon is about 53 times more than 800 metres. The difference is simply too big! 10k races and half marathon races are pretty good at predicting your marathon performance. Provided you do the work required for your marathon. Just use my marathon calculator page and Bob is your uncle! However, the difference between 800m and 26.2 miles is huge. The marathon requires a sufficiently developed aerobic base. An 800 metre run has a larger anaerobic component. You will find that using these 800 metre-repeats as a predictor, you will often not reach your marathon goal time, but you will be ten to fifteen minutes slower. There is simply a lot more involved in running a three hour marathon than being able to run ten 800 metre-repeats in three minutes. It's nice. It's gimmicky. But unfortunately it's not that simple. Is There Value in the Yasso 800 as a Pace Indicator? In several forum discussions I have seen runners claiming that the Yasso 800s do predict your marathon time if during all 800 metre repeats your heart rate stays at the same level. If it creeps up during the workout you will probably not be able to run your race at the predicted time. I have not tried this out myself, but tend to believe it. When your heart rate does not move during a workout which has you running at above tempo pace, then you have little difficulty with that pace. Still, when I want to establish my predicted race pace I'd like to use more than just the Yasso 800. 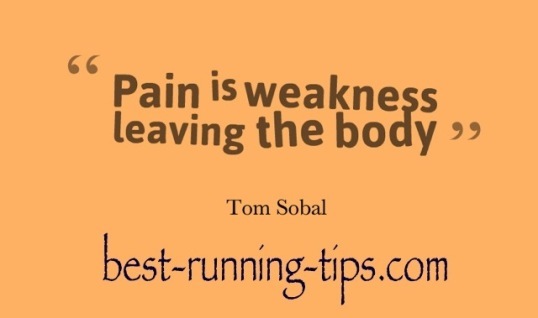 Then combine that with knowledge I have of my current long run, tempo run and interval paces. Do some marathon goal pace sessions and see how they go. So take all of that info. Then cross-reference it with Yasso 800 info. That would give me a good guide of how fast I'd be in my marathon. But relying on the Yasso 800 alone is, in my opinion, not sufficient. 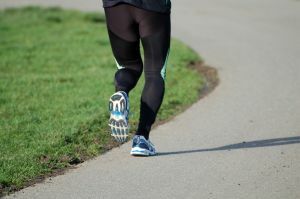 Also see my marathon pace page to learn everything necessary about marathon pace training and marathon pace strategy. Another possibility I see is to use this workout as a half marathon pace indicator. Whereas the marathon is an unpredictable beast, the half marathon is a bit more predictable. After all, it's often a bit unclear for all of us how we'll go in those last six miles / 10k of the marathon, whereas with proper pacing you can almost be guaranteed you can finish a half marathon strongly. So, how do you use the Yasso 800 as a half marathon pace indicator? Decide on your goal for your half marathon race. 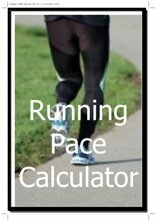 Find the equivalent marathon time using this race conversion calculator filling in your half marathon time as "the race you ran" and work out the corresponding marathon time. Let's talk through a few examples to help this make sense. E.g. 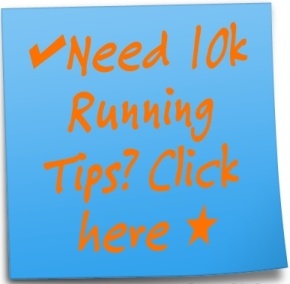 Suppose you have recently run a 10k in 43 minutes. Using the race conversion calculator in the link above, you'll work out that your predicted half marathon time would be about 1:35 and your predicted marathon time would be about 3:18. Now, when you can do a Yasso 800 workout of 10-12 x 800 metres in 3 min 18 per 800 metre repeat with 3 min 18 sec jogging in between, you'll have another good indication that you can indeed hit that 1:35 half marathon time. Or are we getting too complicated here? Let's walk through another example. Suppose you have recently done a 5k race in 25 minutes. Then, with use of the race conversion calculator you will find a predicted half marathon time of 1 hr 55 mins and a predicted full marathon time of just under 4 hrs. So, if you can do a Yasso 800 workout of 10-12 x 800 metre repeats at 4 mins per repeat (4 min jog in between), then that will help give you some good guidance that 1:55 is indeed feasible. Let's work the other way. Suppose you are able to do 3 min 30s "Yassos". Which, in theory, lines up to a marathon of 3 hrs and 30 mins. Then using this marathon time to work out a half marathon time in the race conversion calculator, we get a half marathon time of just under 1 hr and 41 mins. So, if you can do a Yasso 800 workout of 10-12 x 800 metre repeats at 3 min 30s per repeat (3 min 30s jog in between), then that will help give you some good guidance that your half marathon will be around the 1:41 mark. 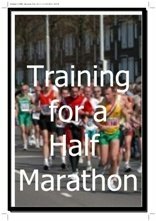 Of course, there are other half marathon goal pace sessions you can do, the link will give you some good examples. When deciding on your race pace, no matter if it is a half marathon, full marathon or any other distance, always use a number of different references. The big mistake some of us make is relying on intuition or just one indicator. That one indicator may be overly positive and that can set you up for failure. I know some folks who are incredibly good at short distance runs like the 800m. They'd be able to run 3min 800s the whole afternoon, but they'd really struggle hitting a 3hr marathon as they haven't done sufficient long runs. Yes, Yassos are a good workout. There is nothing wrong with doing 800 metre-repeats. And doing it 10-12x in a row and moderately hard pace is a very decent workout indeed. However, studies have shown that the optimal interval lasts for three to five minutes. 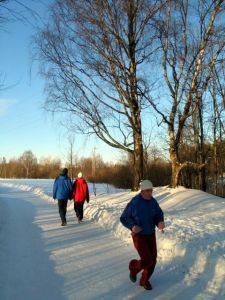 Most of us can go quite a bit further than 800 metres in five minutes. So, 800 metre-repeats are generally too short. But, I still like to do them occassionally. At least if I am at a track. I have done them "in the wild" as well. But the obvious problem, at least without a GPS running watch is then to get an exact 800 metre run done. So your in-between recovery jog needs to be finishing at the exact right spot at the exact right time. And that's just a bit too inconvenient. So, I normally use my GPS running watch for measured intervals, but quite often like to do them just based on time as well, e.g. 4 or 5 min hard with 3 min recovery in between. The Gymboss is a great little tool for intervals. I hope this provides you with sufficient information about the Yasso 800 to make up your own mind about it. It is an interesting help to determine marathon performance, although I think a little flawed. However, as half marathon pace indicator it can be helpful. And, all in all, yes, the Yasso 800 is a good workout, but I think you shouldn't restrict your interval running sessions to Yassos alone. Want Some More Useful Info? Then Check Out the Following Pages!